Welcome to Calabash NAPA AutoCare! 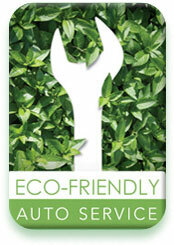 Comments Off on Welcome to Calabash NAPA AutoCare! Whether your vehicle is due for an oil change or needs a repair, Calabash NAPA AutoCare is qualified to handle it all. We truly understand car repairs, manufacturers guidelines for maintenance, and customers’ needs for all thing auto related – all at a fair price. Our staff is ASE certified and our repairs are covered by the NAPA AutoCare Peace of Mind Nationwide Warranty for 2 years or 24,000 miles. We are also an official NC State Inspection Station. Please schedule an appointment with our friendly staff by clicking the Appointment tab, above or by calling (910) 579-9850.